The Onboard Diagnostic scanners can give information about the registration of the vehicle and also report about possible issues about it. These scanners are a good way to maintain your vehicle. It detects the slightest issues in your vehicle so you can fix them before they get messy. All the vehicles that came after 1996 have OBD ports in them, where you can plug in the device and get all the trouble codes in front of you on the screen of the scanner. This is a great advancement in terms of technology. It helps to analyze the condition of your vehicle, so you can know that it is safe to drive on longer routes. Before OBD2 scanner, there were two more types which had the lesser capacity and tendency to give the right information; they were OBD and OBD-I. But, OBD2 is an improved form which follows all the protocols of the system. The OBD2 scanner has further two types. Let us have a look at the detail of each. Also Read: What is an OBD2 Scanner? 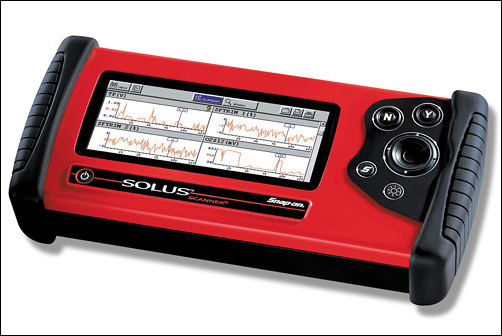 These are the most basic diagnostic tools that you will ever come across. These scanners interact with the on-board computer of your vehicle. They are a no-frill device that can read codes from any vehicle which has OBD2. It supports all the five protocol controls of OBD-II scanner. The OBD-II code reader scanners are cheaper in comparison to the other type. These readers have a few limitations due to which they might be unable to detect all the important information about a certain vehicle. There are chances that it might miss some codes and offer limited information. However, two code readers might be different. There are chances that some scanner designers are offering advanced features in a reader such as displaying the code name, reading the live data, and freezing the frame data. You will have to look in to the available features of a code reader before you buy it. in case you are only buying a scanner just to know the codes, then this is the best choice. If you are going to work on your car all by yourself, then you will need to know the detail of the codes. For that purpose you must have a scan tool. The aim of scan tool design is to interface with the on-boar logistics of the car to ease down the diagnostic process. They are quite similar to the code readers but they have additional features. They provide the detail of pending codes, trouble code definitions, troubleshooting procedures, and store the data to review later. The OBD2 scan tools are expensive than the code reader device. They have the capacity to offer a large variety of features. The scan tool can provide extensive access to the information about the manufacturer specific codes, customizable access to recorded or live data and offer advance information about troubleshooting. The purpose of this tool is to create an interface with the vehicle; diagnose the problem and sometimes reprogram the control modules of the vehicle. You have to make the choice as per the usage and preference.